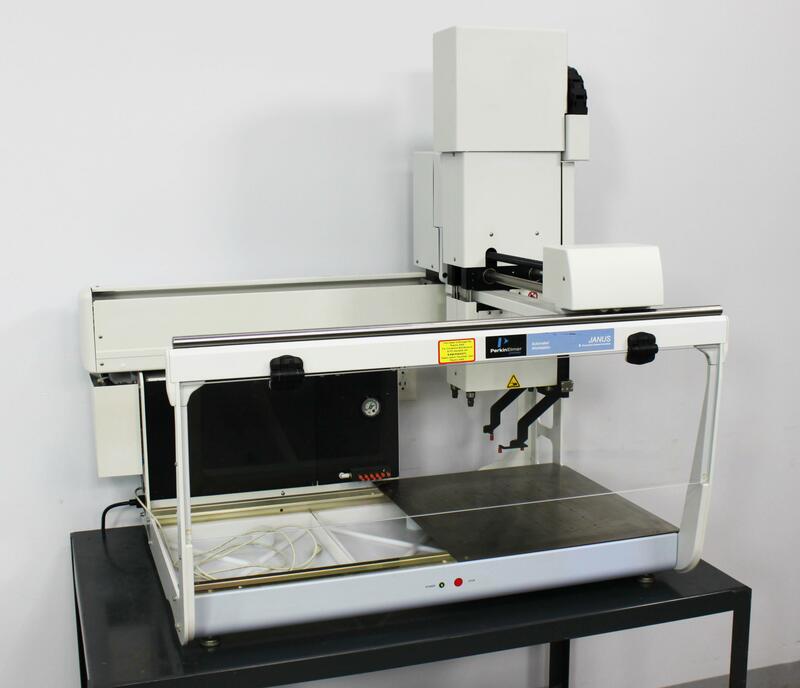 Perkin Elmer JANUS Standard AJMM001 Automated Workstation Liquid Handler . New Life Scientific, Inc.
Our in-house technician inspected and powered on this Perkin Elmer JANUS Standard Automated Workstation, finding that it did not initialize or connect with JANUS software. Software not included.